Stack Monitoring Kit is designed to serve the most crucial purpose of measuring the total volumetric discharge of particulate matter and gaseous pollutants from the Boiler, DG stacks, Process outlets, Scrubber Outlets. It is very important to measure harmful pollutants emitted from industries in order to take decisions based on collected data to minimize the pollution. 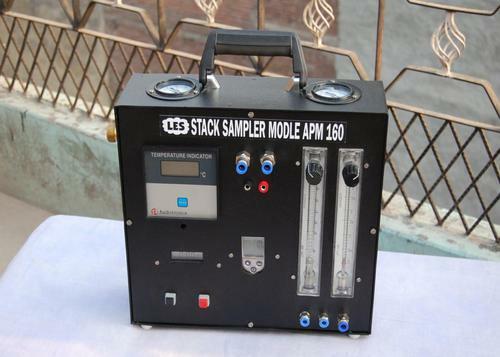 Stack monitoring kit plays major role in collecting samples from chimneys / Stacks in Stack monitoring Procedure. All the Gaseous stream effluents in accordance with the Air Act 1981 (Prevention &Control of Pollution) by which all industrial establishments have to measure and monitor emissions from their plants and keep them under controlled limits. To ensure this, each & every company (chemical, Pharmaceutical, manufacturing) should monitor their gaseous pollutants discharged into the environment at regular interval. 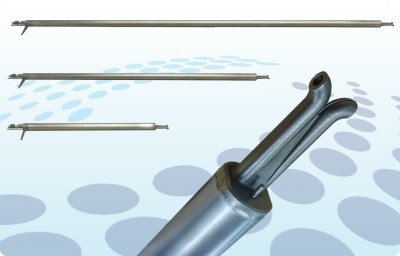 Pitot tube: “S-type” fabricated from SS304 or equivalent grade. Coefficient of Pitot tube should be above 0.95 in stack monitoring system. Stack velocity Range: we can find the velocity of gaseous pollutants through stack with the help of inclined manometer. Temperature of gaseous effluents: we can use digital temperature indicator with thermocouple to find the temp of gaseous effluents. Range is from (0-6000C). Velocity & temperature is different at different location inside the stack diameter. To achieve a desired sample, samples are taken at various traverse points inside the stack diameter in stack monitoring procedure. Thimble holder: It is designed to capture particulate matter form gaseous effluents. It is incorporate with the thimble to capture PM size greater than 0.3 micron. Impingers: Four number 100 ml and four to six number 225 ml capacity. Facility should be there for keeping ice at the bottom of impinger box to increase the collection efficiency in absorption media/reagent. Electrical cooling is desirable in Stack monitoring system. Vacuum pump: Vacuum pump shall be of rotary design, with a capacity of to 0 to 120 LPM gas flow with single phase motor, 220 V. The pump shall also have a moisture trap and air inlet valve. It shall be mounted inside pump housing and shall be portable. Dry Gas meter: The sampling train shall have a dry gas meter with the facility for measuring temperature and static pressure. The capacity of the meter should be adequate to record upto 60 lpm of airflow and a minimum readout of 0.001 cubic meters. 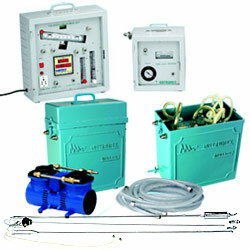 Stack Monitoring kits are very lightweight and can be easily carried to site. Also it has inbuilt battery which can be charged, so no need of power supply while monitoring stack. We can also adjust flow control as per our requirement. There are many manufacturers of stack monitoring kit in India, but we highly recommend to use stack monitoring system from Instrumex. They are one of the largest manufacturers and suppliers of environmental pollution monitoring Instruments with highest quality since 1990. They are also involved in local and national institutes for serving the community in the study of Air and Noise Pollution Monitoring. 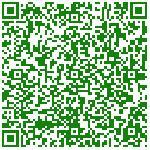 You can download their brochure from here. Let us know your views on stack Monitoring system.